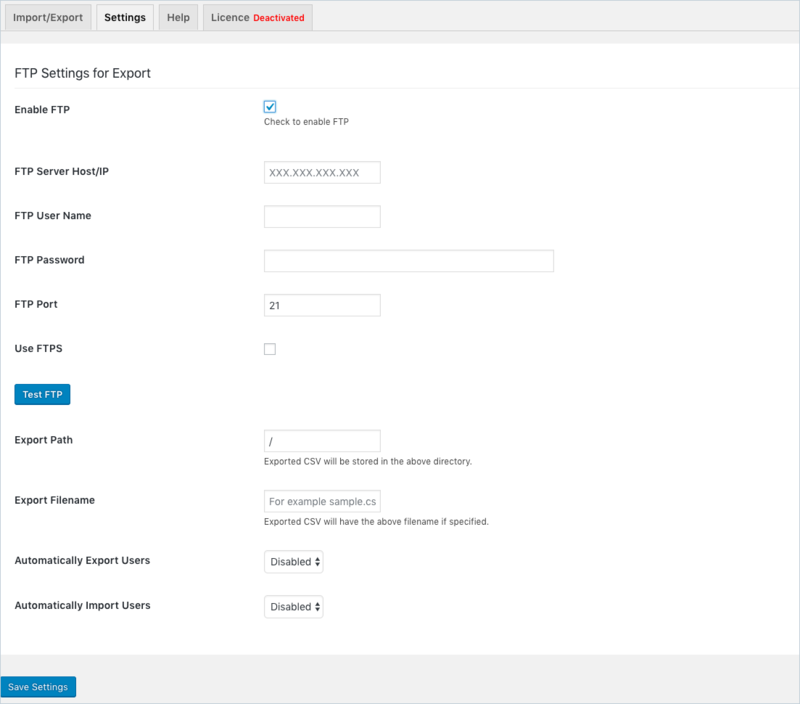 Exporting customers in a WooCommerce shop is a very easy task when using the right export plugin. The best thing about making an online shop using WooCommerce is that you can find a lot of resources online. This makes creating an online website very easy with WooCommerce. There are a lot of plugins that can make a WooCommerce website fully-functional. You can create or do just about anything with a WooCommerce store using plugins. They make it really easy to work with WooCommerce and create an e-commerce shop. Likewise, you can find good plugins that can help you export the users from the WooCommerce shop. The best plugin that can help you export the users and the user metadata from the WooCommerce shop is WordPress Users and WooCmmerce Customers Import Export Plugin. 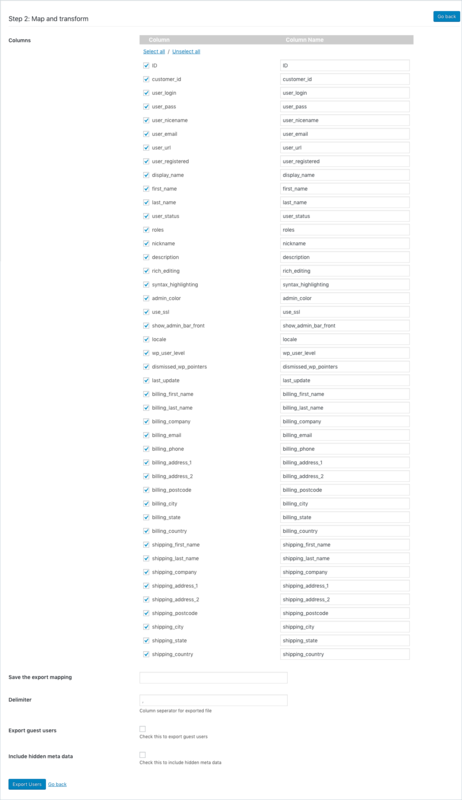 From the plugin page, go to the User/Customer Export section. The plugin page looks as shown below. After the filters have been applied, click on Step 2: Map and Transform button. 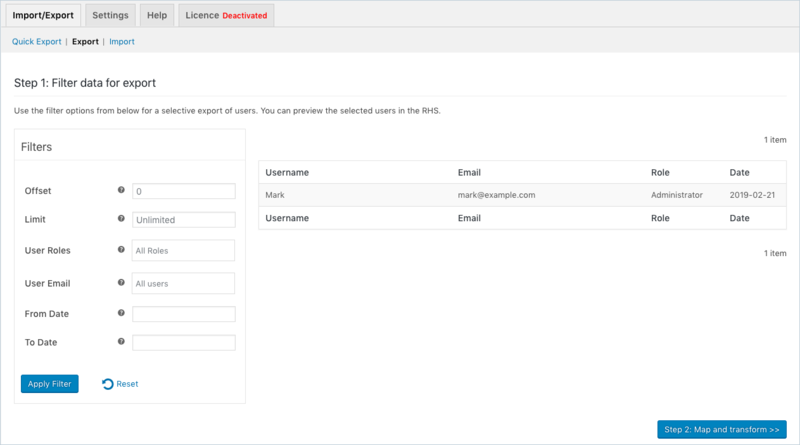 This will take you to the mapping of the users to export to the CSV file. 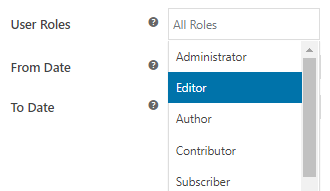 Export guest users: Enable this field to include guest users to be included in the exported CSV file.